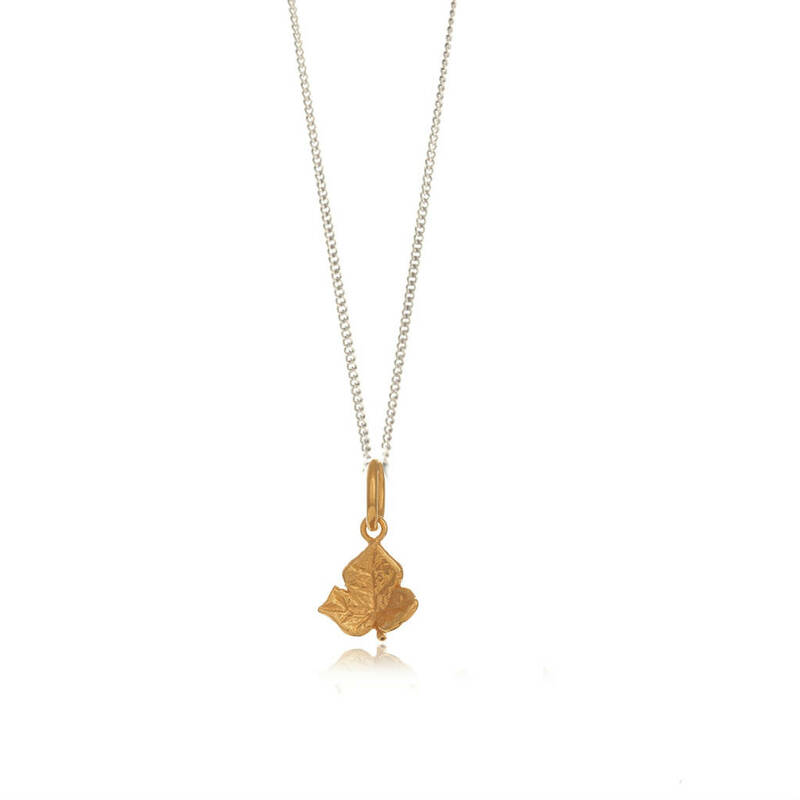 Nature inspired gold vermeil ivy leaf necklace. The ivy leaf is an evergreen plant, represents eternity, fidelity, and strong affectionate attachment, such as wedded love and friendship. 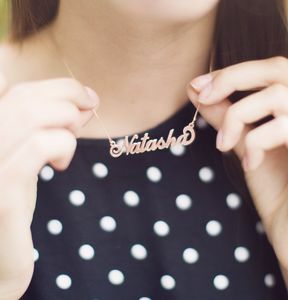 This necklace makes a thoughtful gift and is equally perfect for bridesmaids and styling your wedding day. Comes with an adjustable 16 to 18 inch gold curb chain, also see our matching ivy earrings. 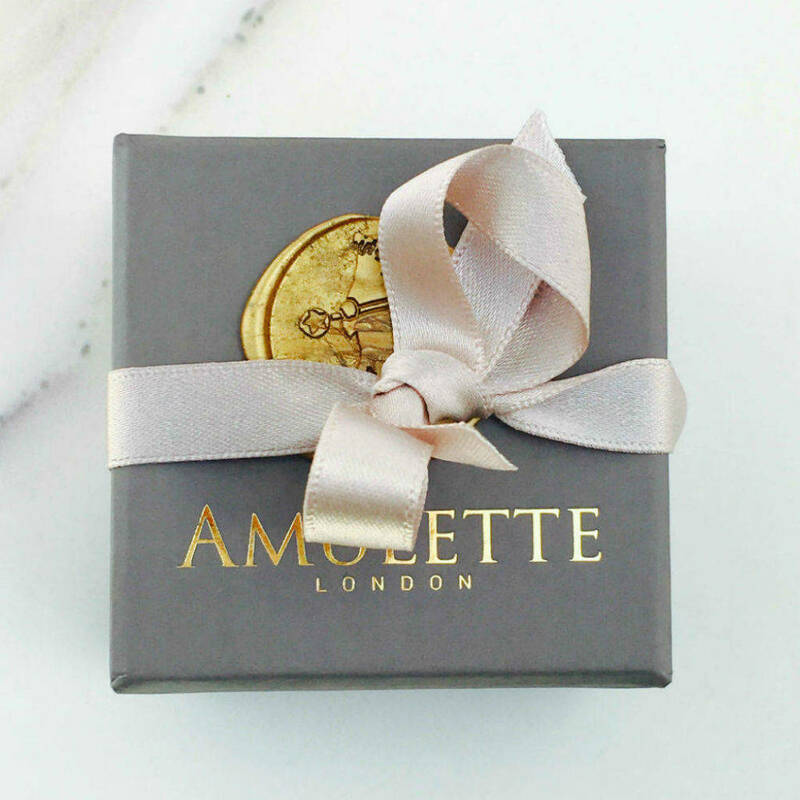 .Amulette is a London based award winning designer jewellery brand. 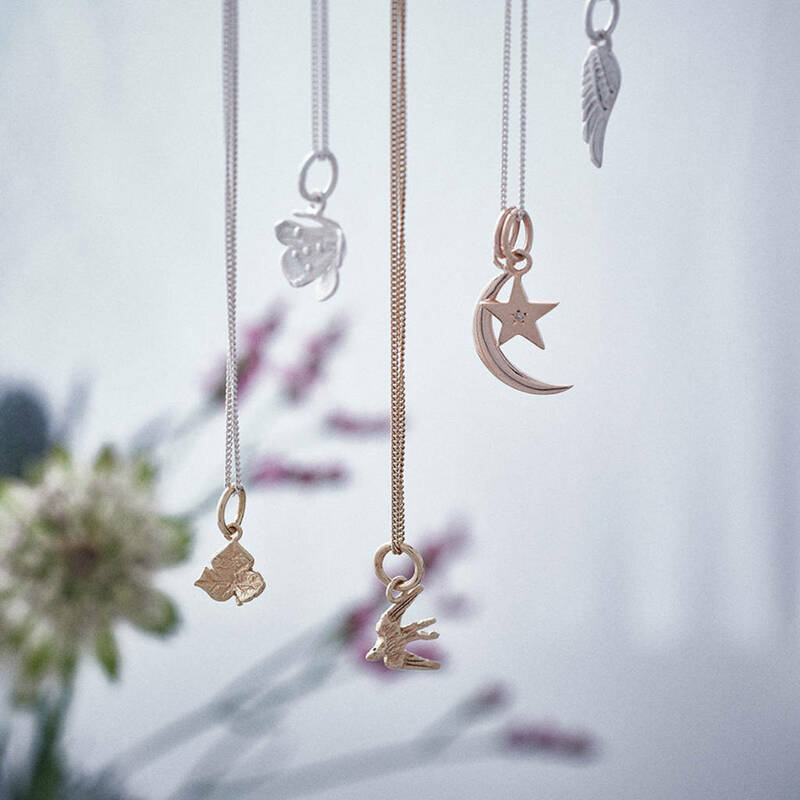 Our jewellery designs have a modern & minimal twist using mixed metals and semi-precious stones. This necklace is made from .925 (92.5%) pure silver, which is the standard required for British silver. The necklace has a highly polished finish. 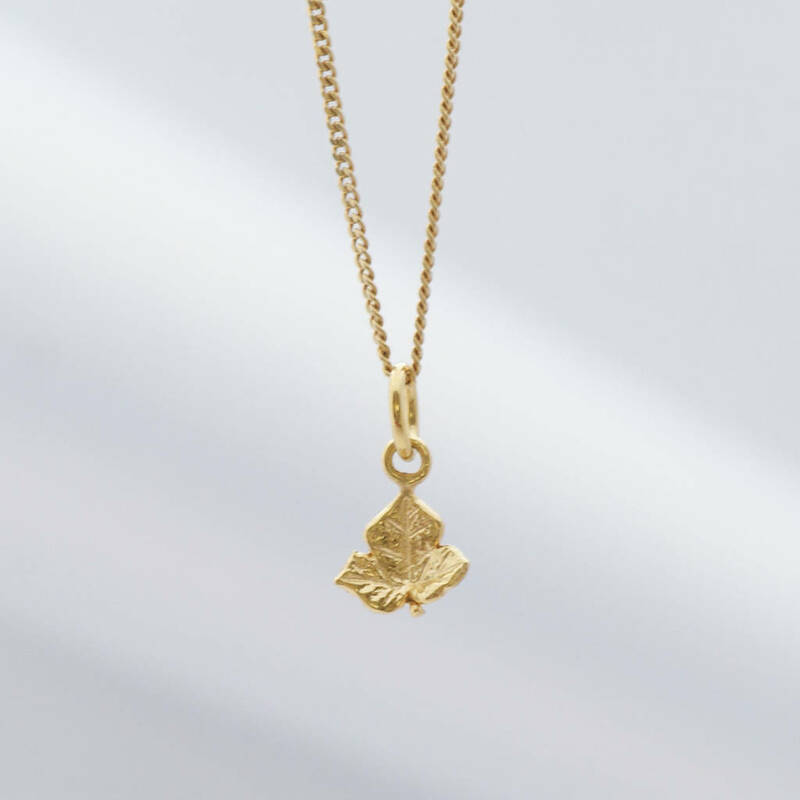 Flower is finished with 22ct gold vermeil.